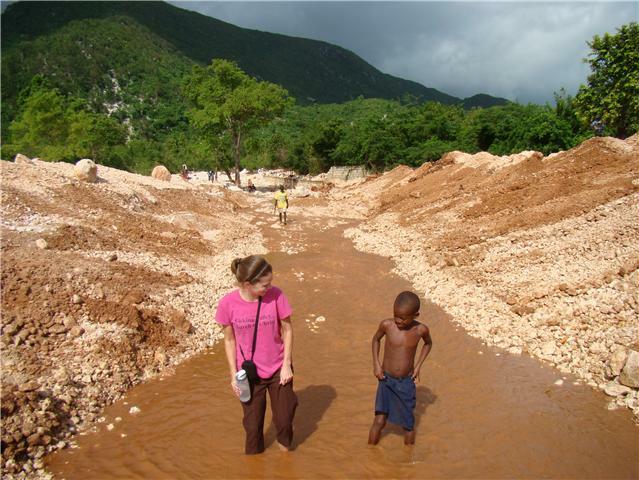 Ginny in Haiti: 2nd House of Hope Finished! I woke up Monday morning with the task of going to Peredo and hiring someone help the family Invest Hope is helping rebuild their house. I was surprised to find that our girls didn't have school that day. What a perfect service project for us to do together! We love opportunities like this where our girls get a change to serve in their own community and country. Odessa was thrilled she was going to get to paint. The teens not so much but they came along. I played the pregnancy card that day and was the project manager and photographer. Our intern, Santana Davis, jumped in a painted too. By that afternoon we were done. The house is complete! This is one happy family who send their thanks to everyone who helped them rebuild their house. They contributed lots of time and effort into this project as well. David and I were so happy with their work ethic and gratitude. Your donations went to help this family rebuild their home and give them hope. Thank you!